The Furniture Market Realtor Rewards program recognizes our esteemed local partners in the mutual pursuit of creating an elevated community. A gift on your behalf: Once you register your client with our easy online registration, we will send a gift card at closing congratulating your client and offering them the opportunity to visit our showroom to find just the right pieces to complete their home. 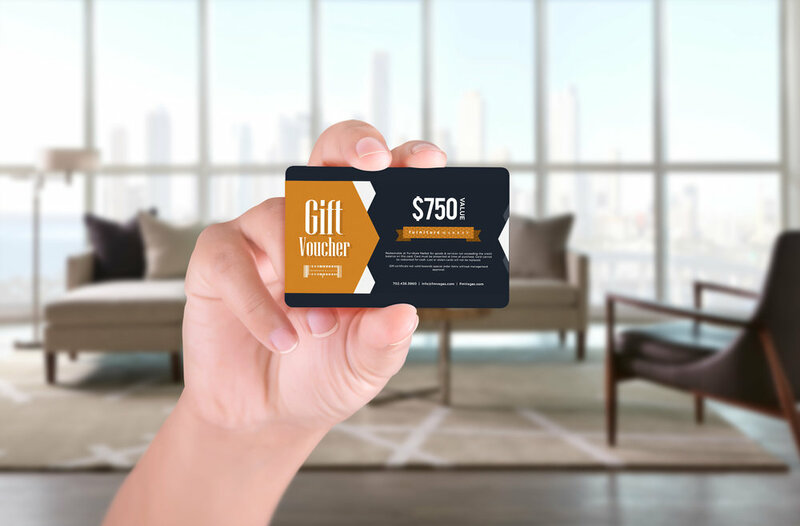 Client gift card values are determined based on the home purchase price. The Y axis is the dollar amount of each Gift Voucher given. **Real Estate Agent award points exclude labor, clearance priced items, freight, and select merchandise. All referrals and award points are non-transferable and valid for up to two years. Real Estate Agents complete the Client Registration Form for each home buyer online. As required by law, participating Real Estate Agents who redeem points will be issued an IRS form 1099 at the end of the applicable tax year when award point are redeemed. Already registered with us? Click below to register your Client.